DAVID LE/Staff photo. 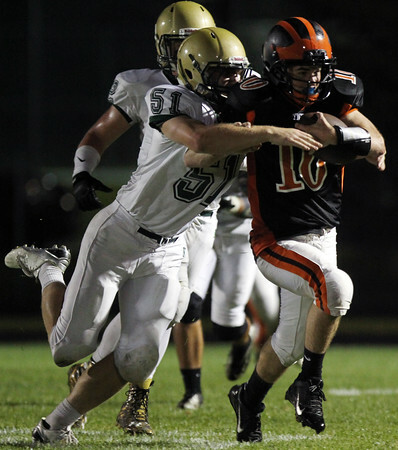 Ipswich senior quarterback Jake Long (10) gets dragged down from behind by North Reading senior Brian Cotter (51). 9/11/15.